Montague New Homes in Edmond from Home Creations. 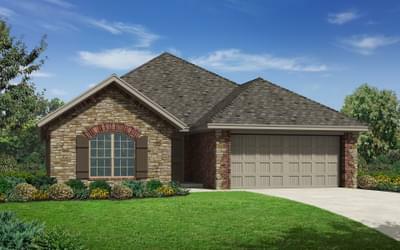 Nestled between Oklahoma City and Edmond, Montague is a peaceful and happy community! Popular restaurants, entertainment, shopping, major highways and other amenities are all conveniently accessible for homeowners to enjoy without having to travel far from home. The community clubhouse is complete with a fitness center, pool and gathering place for homeowners to enjoy a little exclusive neighborhood entertainment. With an assortment of floor plans to choose from, there’s sure to be a Montague home that’s a perfect fit for you!